Forget boiling and slaving over a hot stove to cook fruit with unhealthy sugars, and forget worrying about jarring or sealing correctly! 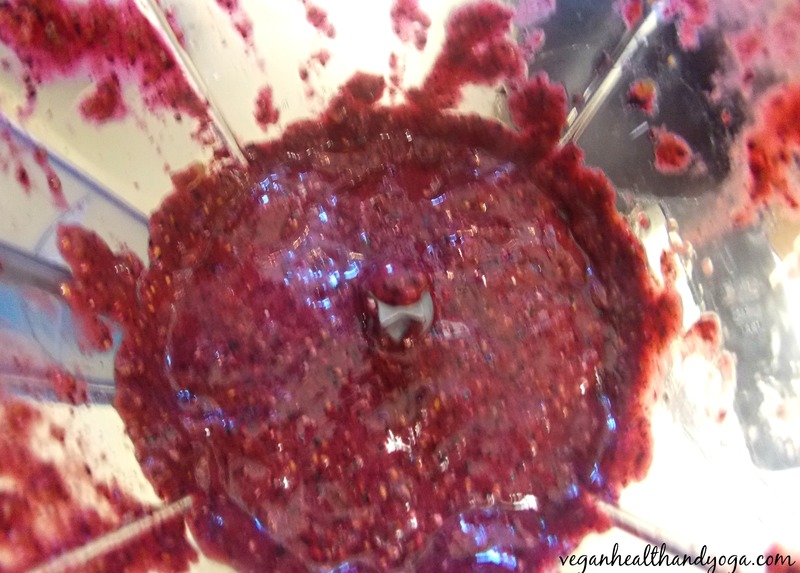 This raw jam recipe saves you time, money, and nutrients. Raw jams are naturally packed with active enzymes because they are not cooked. The bonus with this is they will be packed with more nutrients in every bite than typical jams found at the store. Raw jam tastes just like regular jam, just minus all the wrong sugars. My son loved this jam so kids won’t notice any difference! Add blueberries and lemon juice into a high powered blender. Add in the soaked chia seeds, honey, and chopped dates. Blend on high for about 3-5 minutes, stopping periodically to push down rising ingredients from the sides with a spatula. Pour the mixture into your preferred jam jar and store in the fridge. Stays fresh in the refrigerator for about 2-3 days. 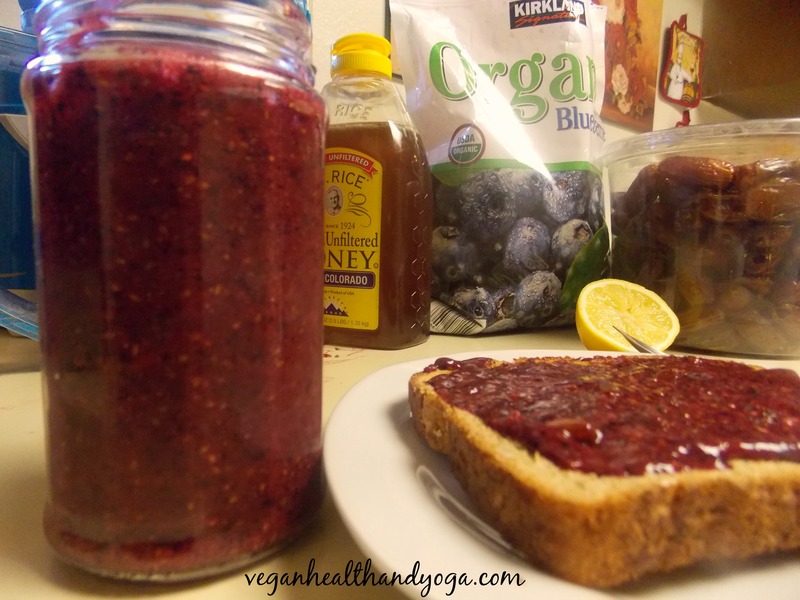 This entry was posted in Raw Jams and tagged blueberries, chia seeds, dates, raw jam. Bookmark the permalink.